If you are here, it means that you have purchased an Alfa product and we would like to thank you for this. By choosing our product you are supporting the search and desire to bring good and healthy flame cooking in everybody’s life. Register your purchase and you can download a collection of must-see tips for the best use of your oven. Click the button below and fill in the fields. 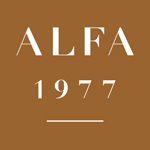 In a few minutes you will enter the world of Alfa. Forgotten password? Click to renew it. Join the mailing list allows you to receive, automatically and free of charge via e-mail each new issue of the Newsletter. The newsletter is sent by email to those who require them explicitly, by filling out the form on the side of this page and authorizing us to process your personal data. Providing data is optional. The refusal to provide data will make it impossible to get the newsletter. The collected data are processed by computer. Appropriate security measures are taken to prevent the loss of data, illegal or incorrect use and unauthorized access. The owner of the data collected is Alfa Refrattari srl, headquartered in via Villamagna, the city of Anagni, province of Frosinone, Italy. The data related to the newsletter service takes place at the aforementioned location. – Or by mail, toAlfa Refrattari srl, which is based in Anagni, Frosinone (Italy), via Villamagna Snc, 03012 cap. For the exhaustive list of cookies that we use, please refer to the List of cookies we collect section. We can periodically send promotional e-mails about our new products, special offers or other information that we believe may be of interest to you. From time to time, we may also use the information for market research. We may contact you by e-mail, telephone, fax or post. We can use the information to tailor the site to your interests. We are committed to ensuring the security of your data. In order to prevent unauthorised access to, or dissemination of your data, we have implemented physical, electronic and managerial procedures to safeguard and protect all information collected on-line. A cookie is a small file that requires permission to be saved on the hard disk of your computer. Once accepted, the file is added and the cookie can analyse web traffic or let you know when you visit a particular site. Cookies allow web applications to recognise you. Web applications can adapt their performance to your needs and interests, by collecting and saving information on your preferences. 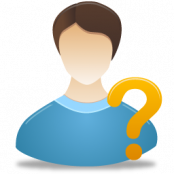 whenever you are asked to fill out a form on the site, find and select the check-box to indicate that you do not wish your information to be used for the purposes of direct marketing. if you have previously asked us not to use your personal data for the purposes of direct marketing, but have changed your mind, you may write to us at any time at info@alfa1977.it.it. We do not sell, distribute or otherwise divulge your personal information to third parties except with your permission or when we are required to do so by law. We can use your personal data to send you promotional information from third parties that we believe may be of interest to you, should you agree to this. You may request the details of your personal data in our possession pursuant to Legislative Decree no. 196 of 30 June 2003 on personal data protection. To request this information, please write toVia Osteria della Fontana, 63 – 03012 – Anagni (FR) – Italia. If you believe that the personal information in our possession is incorrect or incomplete, please e-mail us as soon as possible, at the address given above. We will promptly update any information that is found to be incorrect.